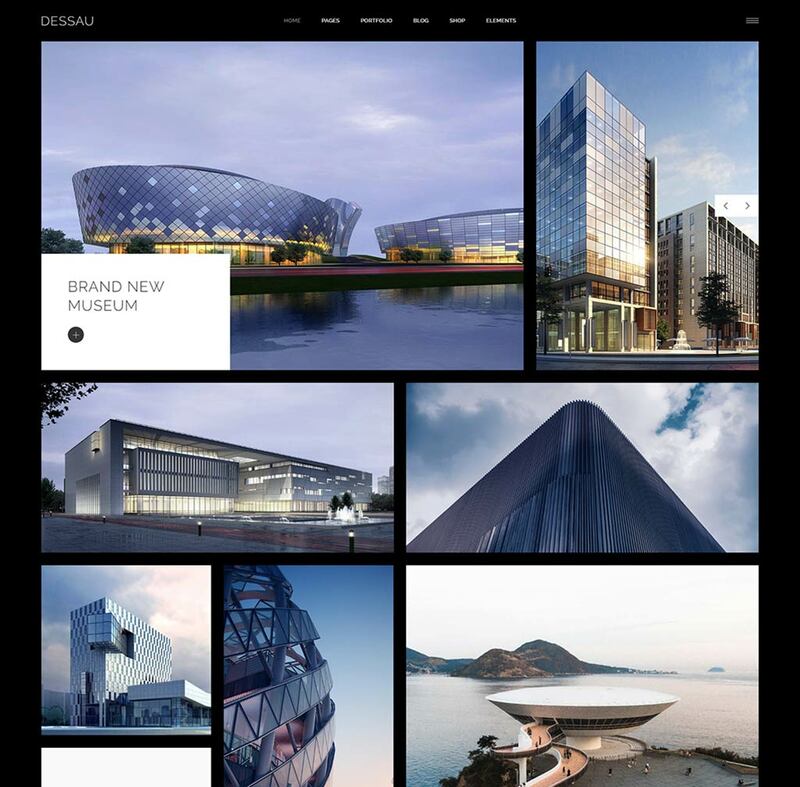 A ready-to-go solution for creating the perfect online presentation your work deserves. 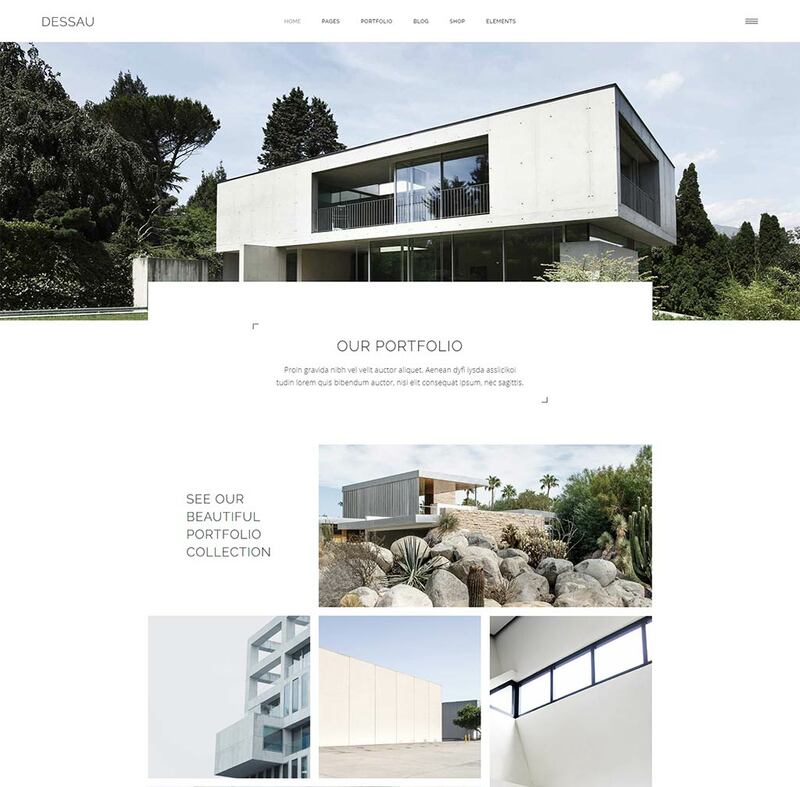 All the pixel-perfect layouts, open-ended customization possibilities and pretty much anything else you can imagine – Dessau places all this power in your hands. 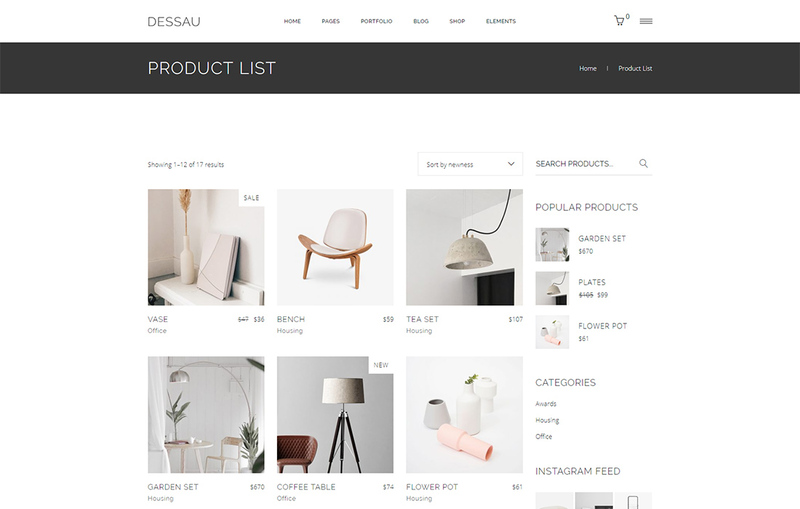 Dessau is stacked full with engrossing portfolio list templates which are sure to provide the perfect platform for presenting your projects to the crowd. 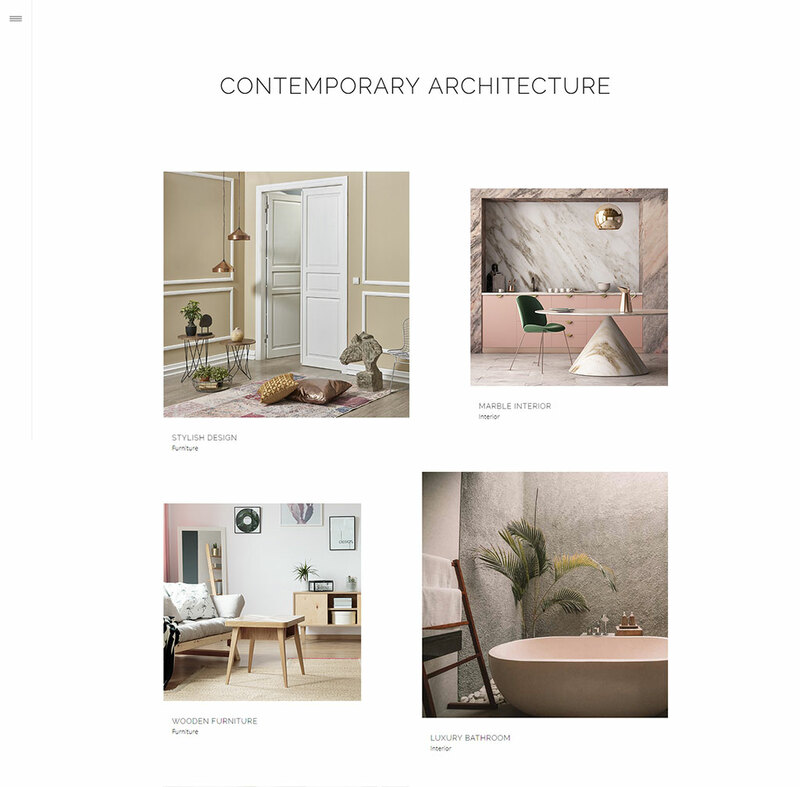 In addition to this each list is distinctly stylized so you can always keep things fresh & exciting. 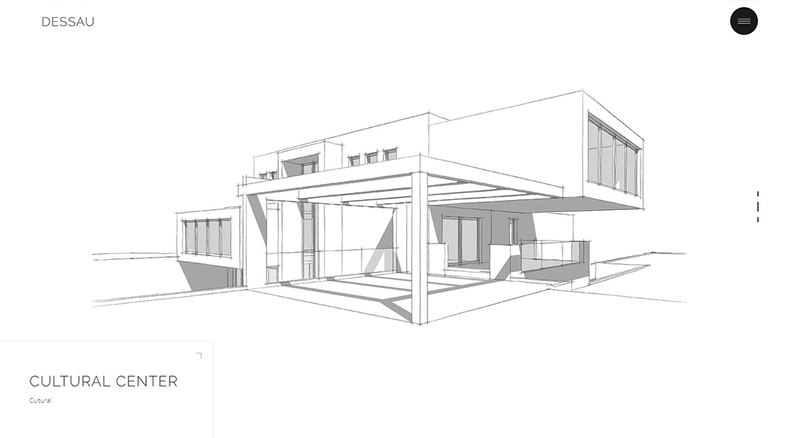 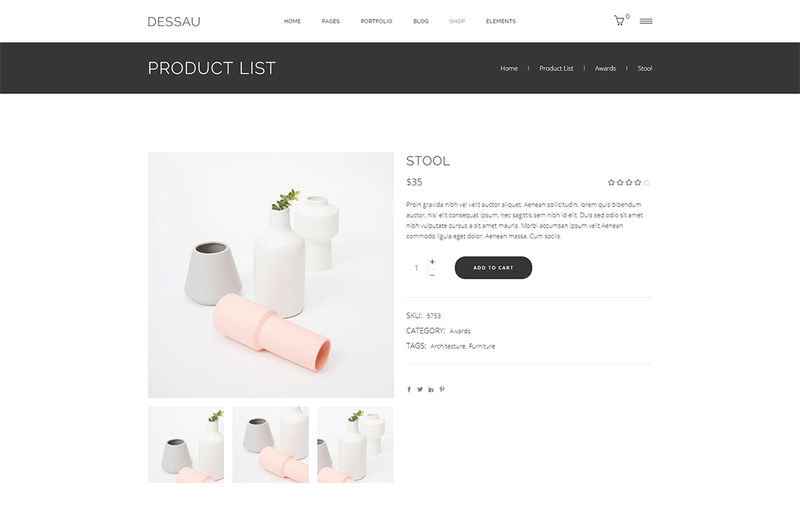 Dessau comes with an assortment of dynamic project showcase modules. 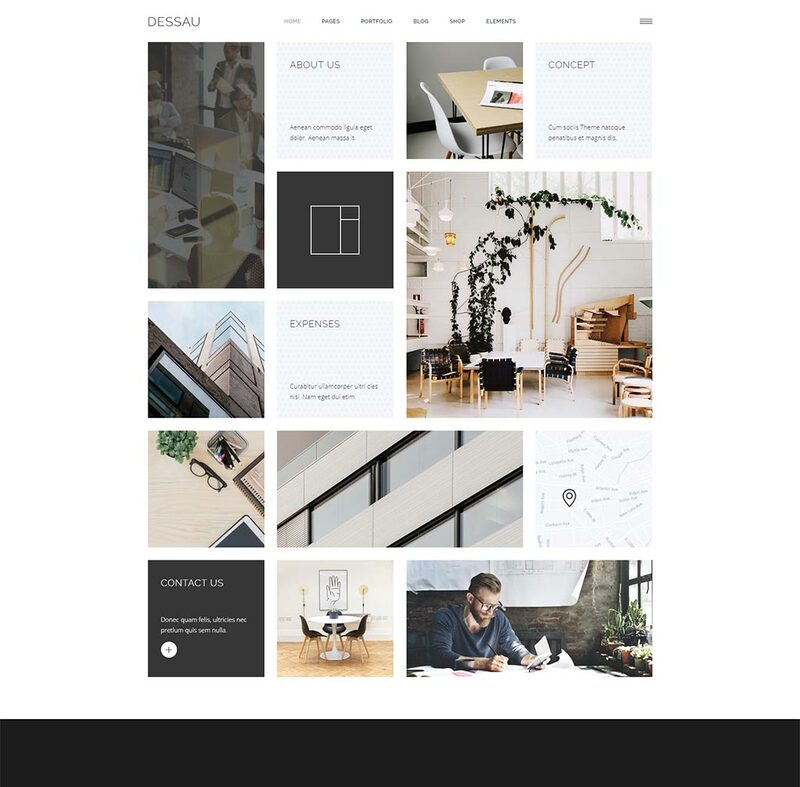 This grants you a huge variety of captivating ways to showcase your work the easy way; a wide selection of single project layouts, portfolio lists and sliders is at your full disposal. 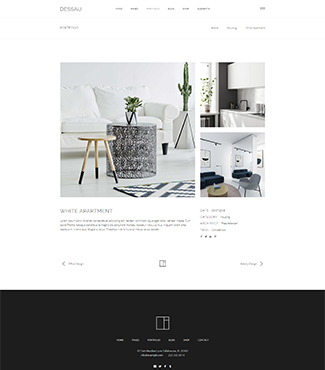 Fully compatible with the most popular as well as free eCommerce plugin, the WooCommerce. 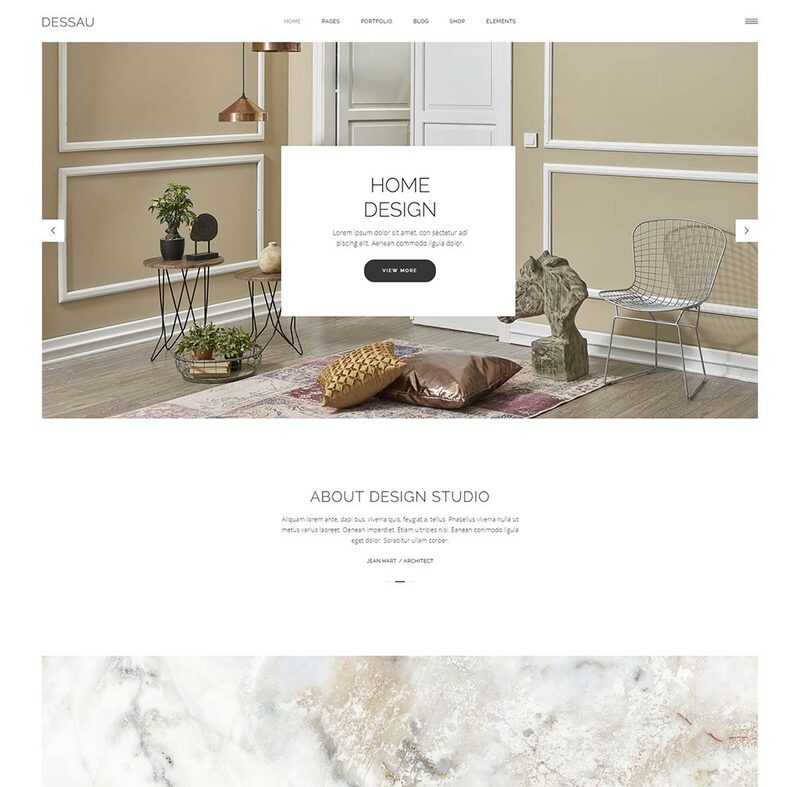 In addition to this, Dessau is equipped with a simply astounding collection of shop page templates, making you completely prepared to start earning online now. 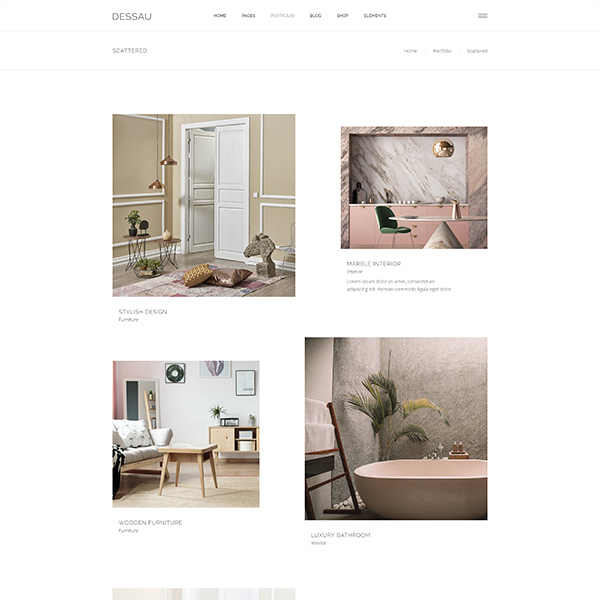 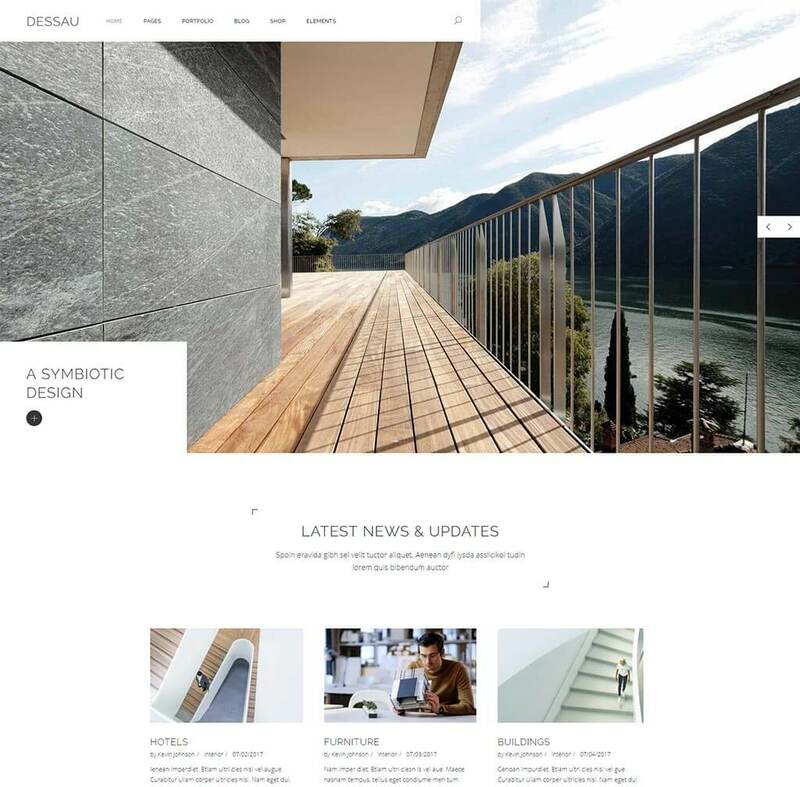 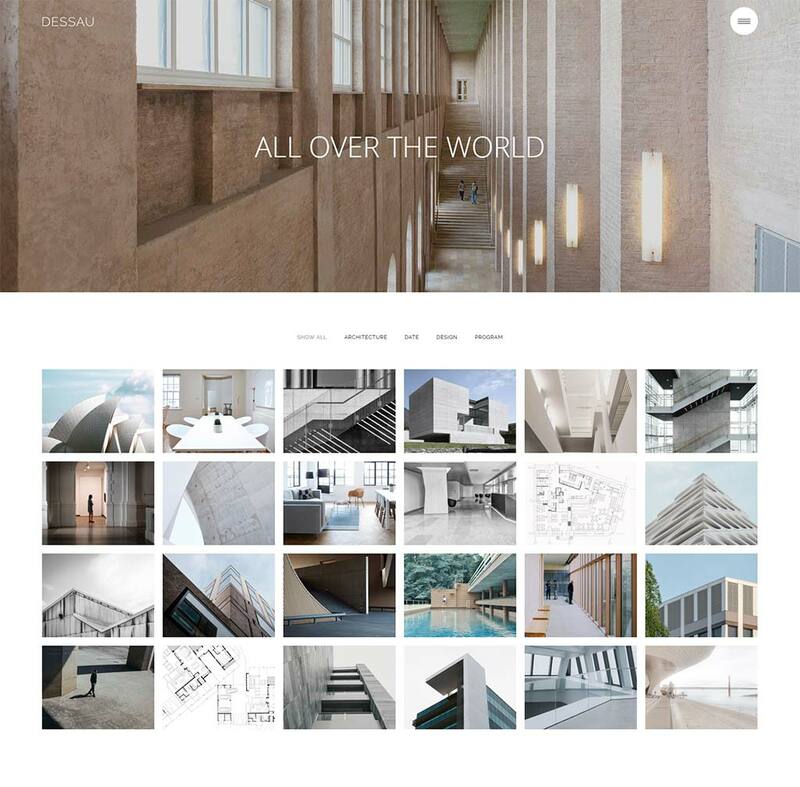 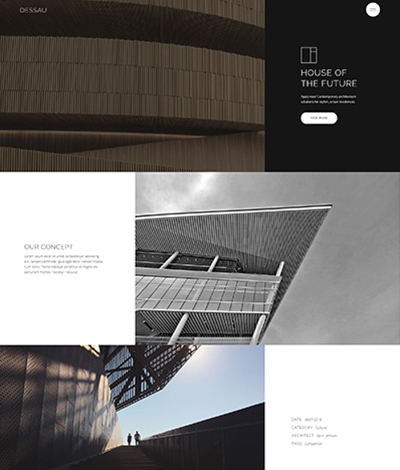 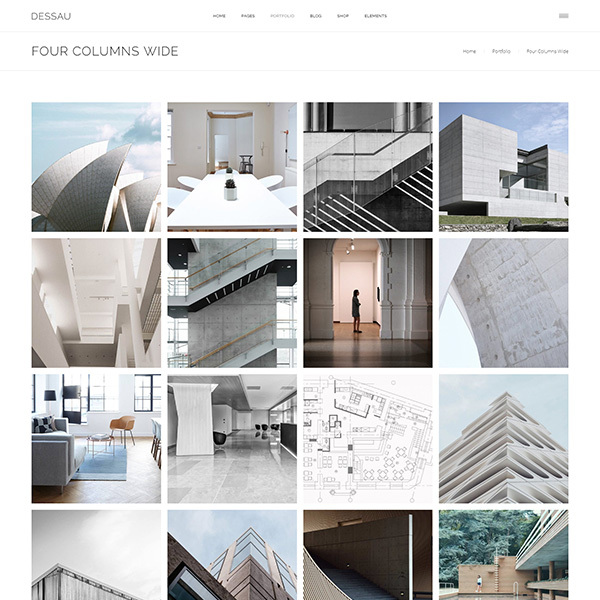 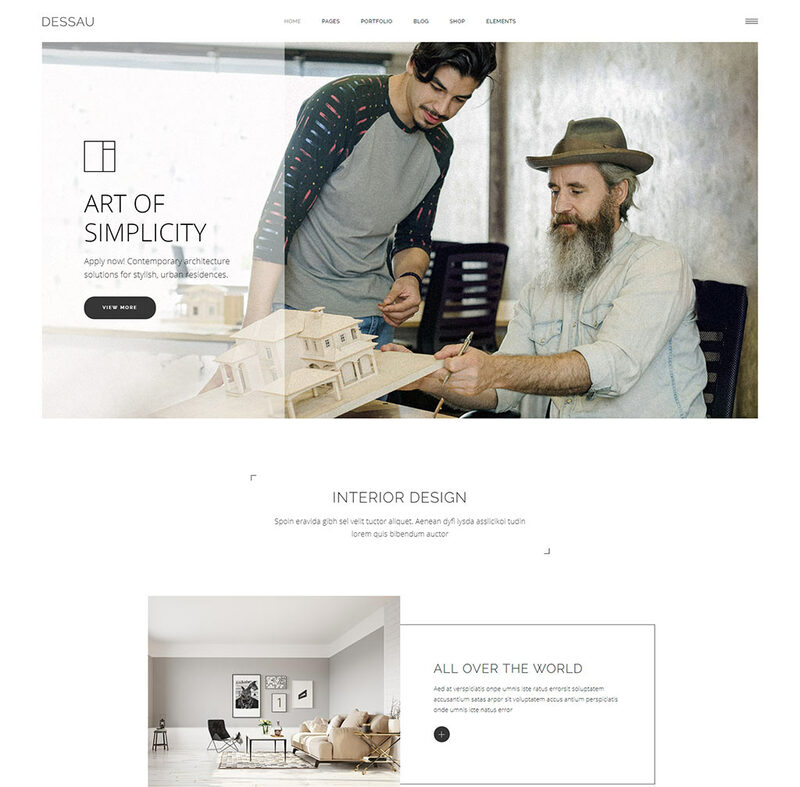 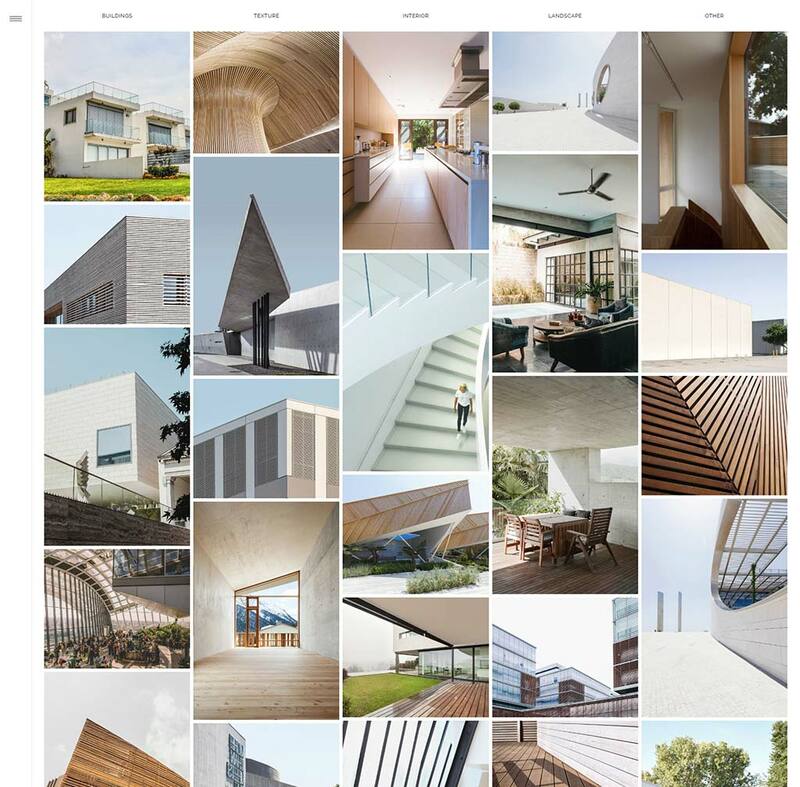 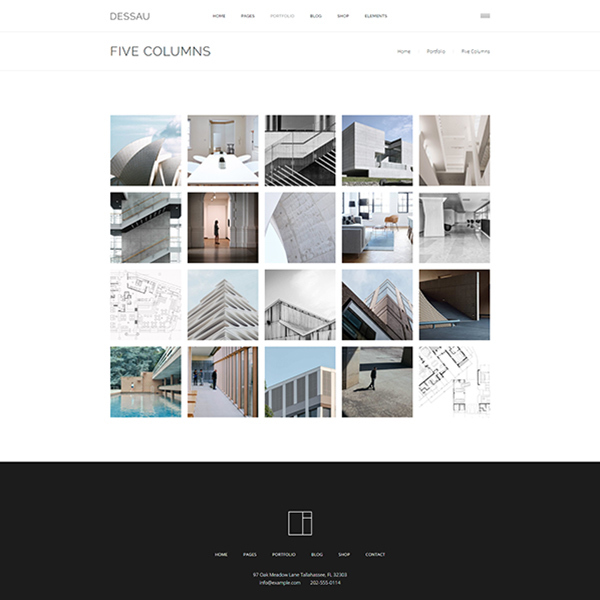 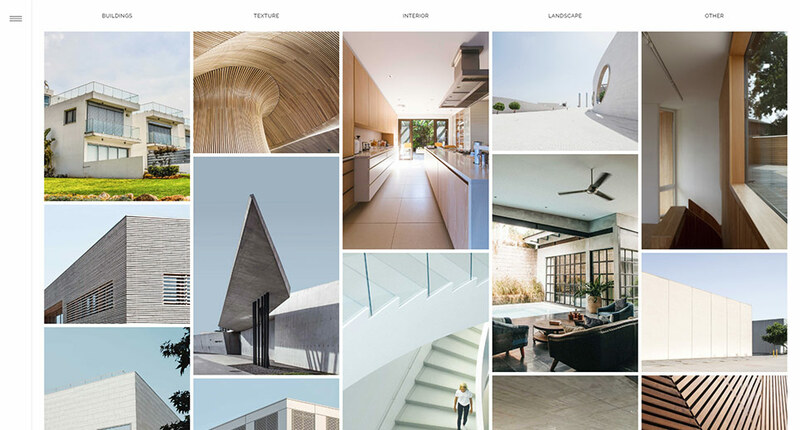 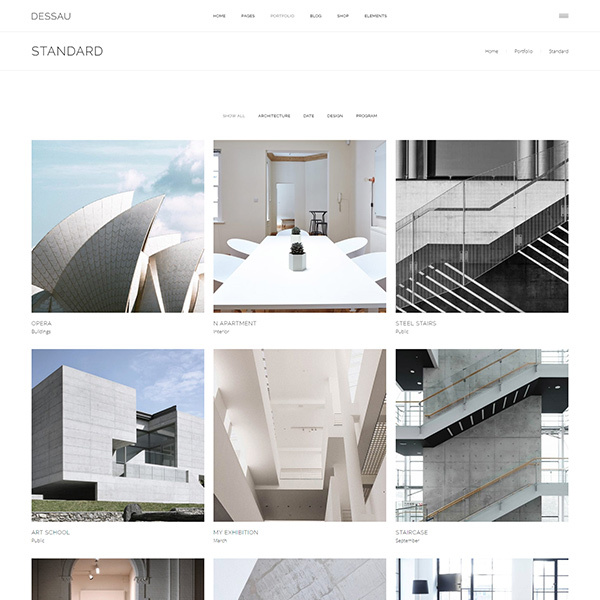 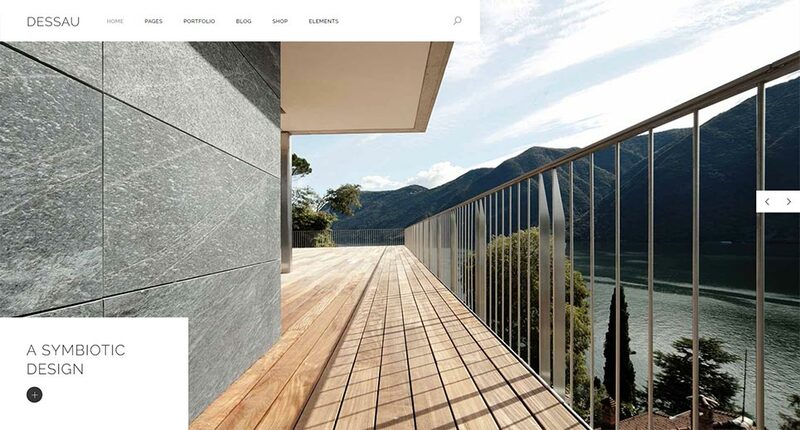 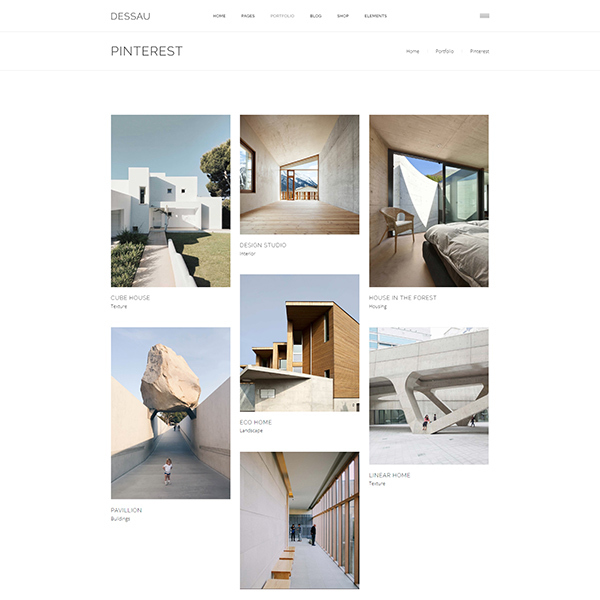 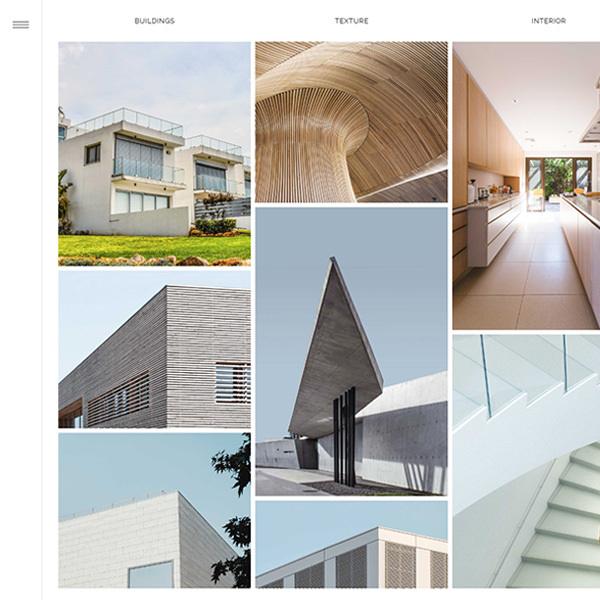 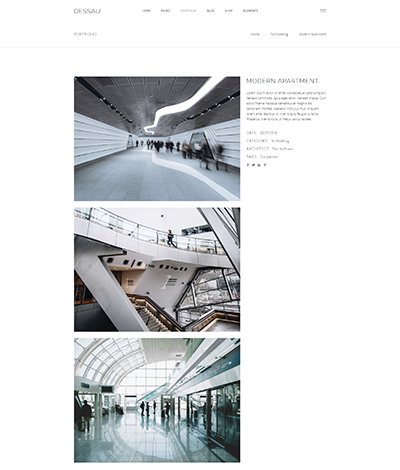 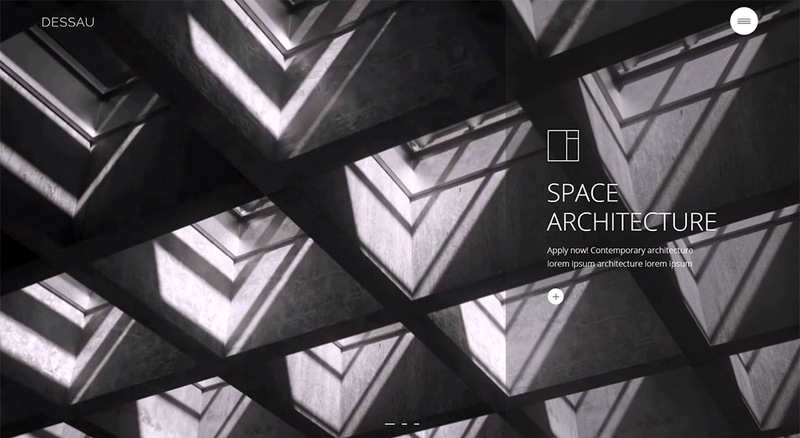 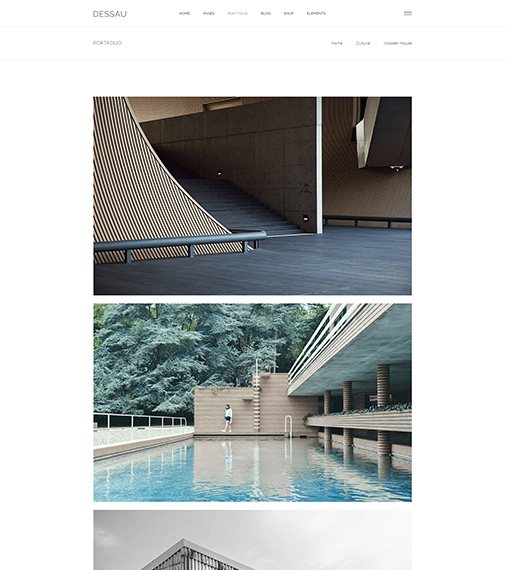 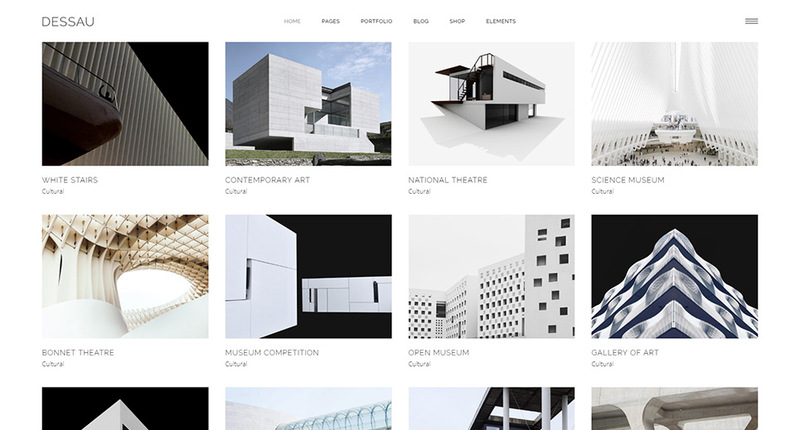 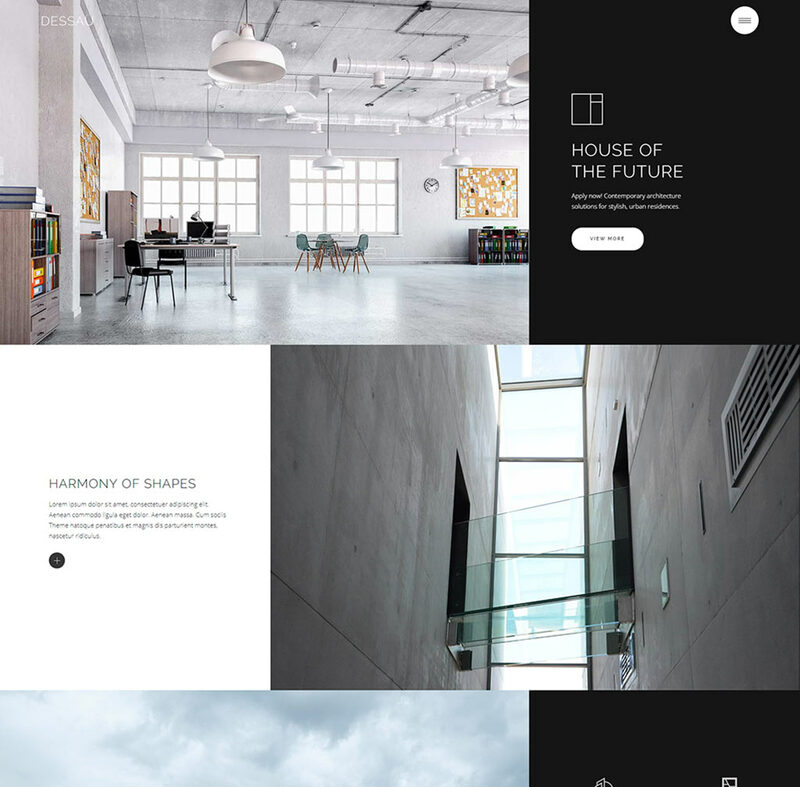 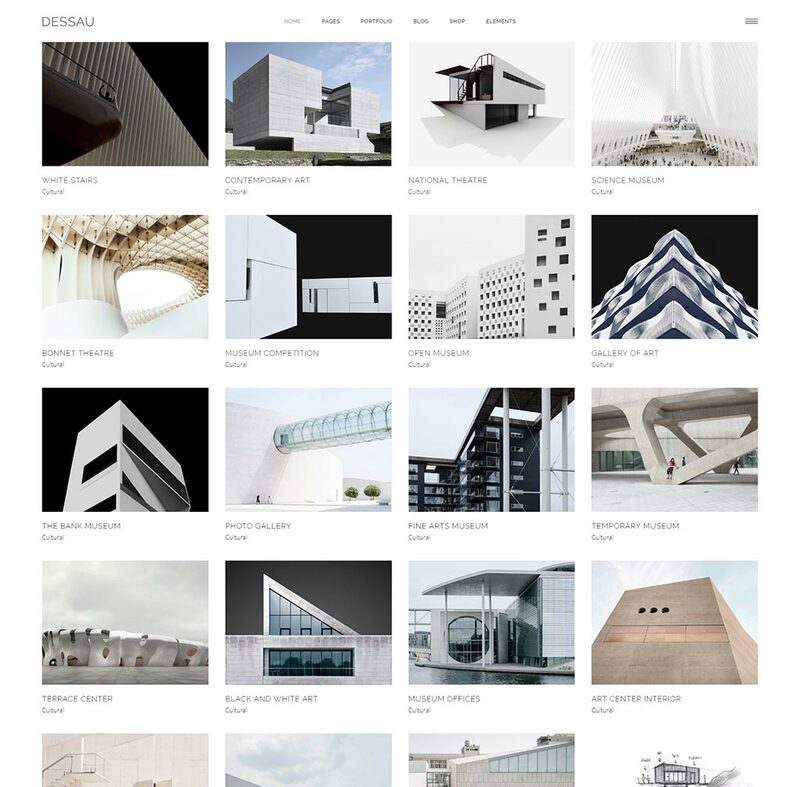 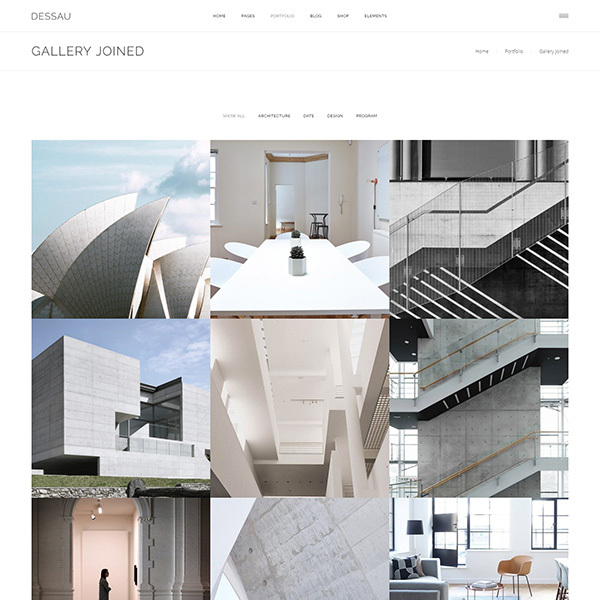 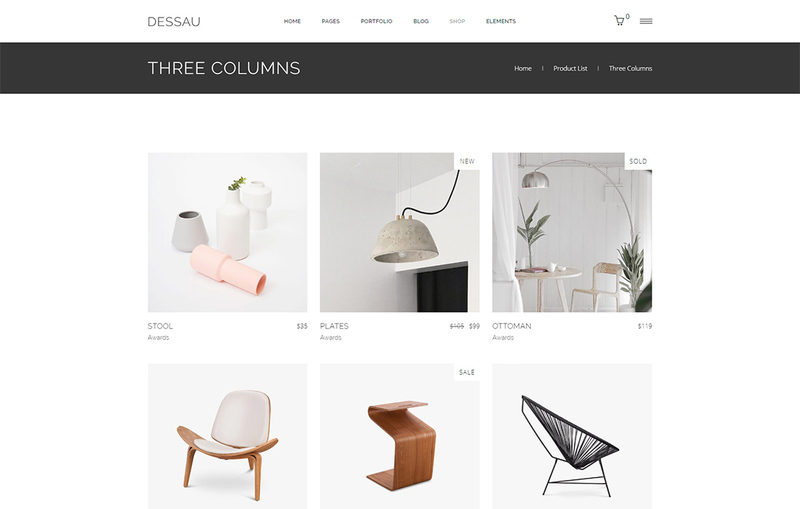 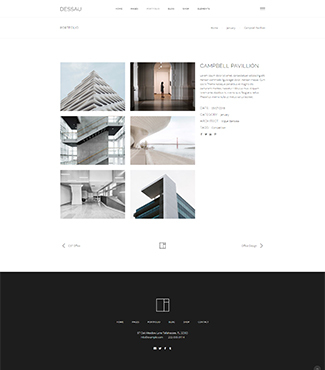 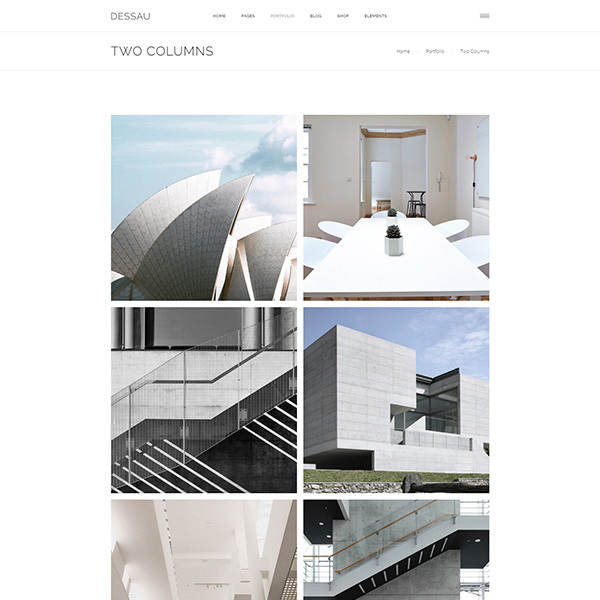 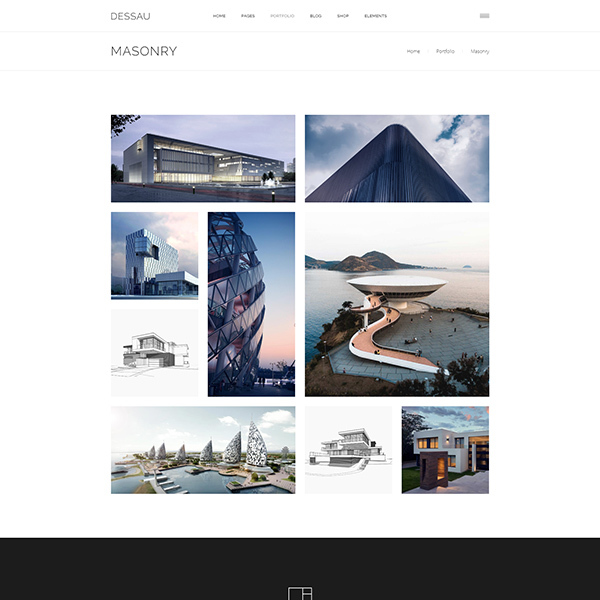 From its attention-grabbing portfolio, blog and shop page templates, to its beautiful elements, flexible options and powerful yet user-friendly admin panel, Dessau is the ideal toolkit for building a website dedicated to architecture & interior design.